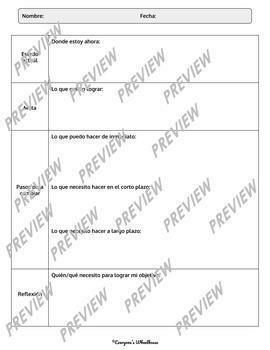 Save money with this bilingual bundle of tools for parent/teacher conferences (in Spanish and in English). 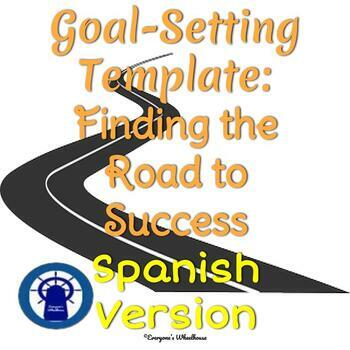 Be ready to discuss key ideas with student input and look toward the future with student goal-setting. 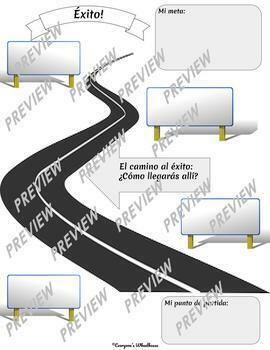 Choose from four different ready-to-print, no preparation goal-setting templates/graphic organizers in Spanish. Students think critically while outlining plans to achieve their goals. Help your students to visualize where they would like to be and, most importantly, what steps need to be taken to achieve success.